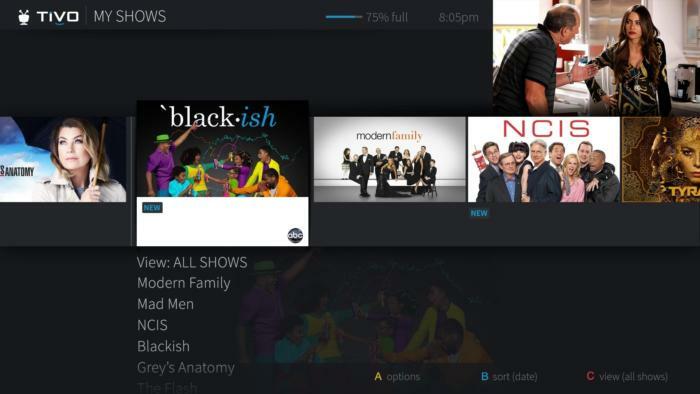 The new look for TiVo tries to predict what you'll watch, but it's not just for DVR boxes anymore. You might still think of TiVo as a DVR company, but this year a different strategy is starting to emerge. TiVo didn’t bring any consumer hardware to CES 2017; instead, the company showed off a brand-new TiVo interface—first announced last September—that tries to predict what you might watch based on past viewing patterns. That new interface should become available for the entire TiVo customer base this year, says Paul Stathacopoulos, TiVo’s vice president of strategy. But it won’t just be for DVR boxes. It can also run on Android, paving the way for new streaming devices with TiVo’s recommendations, browsing experience, and search on top. TiVo’s emphasis on software, rather than hardware, at CES shouldn’t be a huge surprise. Last year, TiVo was acquired by Rovi, a company that licenses TV-guide data, metadata, and other intellectual property related to video. (The combined entity is now called TiVo Corp.) Around the time of acquisition, Rovi said it wasn’t particularly excited by the consumer hardware business, and seemed more interested in licensing its software and services to device makers. The new interface, codenamed “Hydra,” is part of that proposition. 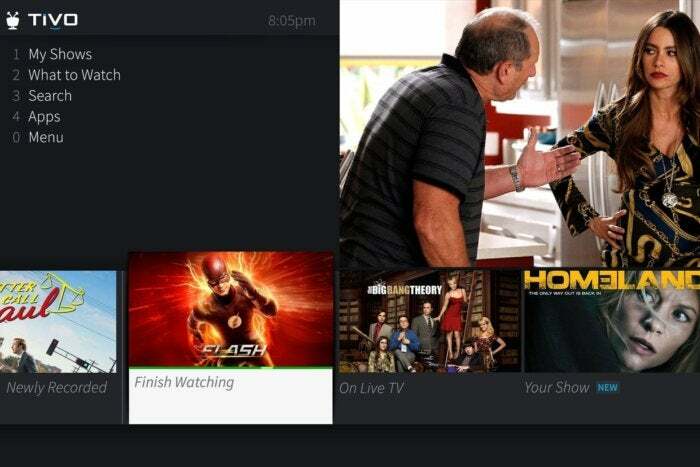 Beyond just looking slicker and being less cluttered than the current TiVo interface, it puts a big emphasis on personalized recommendations, appearing for instance as image thumbnails on the home screen. That prediction engine is powered by DigitalSmiths, a firm that TiVo acquired in early 2014, and it draws on users’ past behavior. Stathacopoulos says that in testing, users select one of these predictions 60 percent of the time on average for weekday viewing, and 40 percent of the time on weekends. Stathacopoulos says the new interface is in “final qualification” and should become available to existing TiVo customers in 2017. The upgrade will be optional, but users won’t be able to downgrade once they’ve moved to the new interface. Perhaps just as interesting as the new interface itself is where it might end up. Stathacopoulos says the interface is capable of running as an Android application. Going the Android route could help TiVo overcome the limited streaming app support on its own platform. Although TiVo integrates with some major services such as Netflix, Amazon Prime, and HBO Go, and offers some additional apps from the Opera TV store, several major streaming services are missing from the platform, including Sling TV, PlayStation Vue, Showtime, Starz, and the vast majority of TV Everywhere apps. Hardware vendors might be much more interested in TiVo’s prediction-driven interface if it can piggyback on the larger Android ecosystem. But until we’ve actually seen some hardware announcements, all of this remains theoretical.